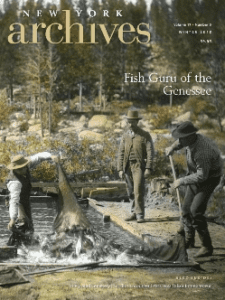 The New York Archives have posted highlights from the latest issue of New York Archives magazine, including Sally Svenson’s feature article “Brookside: An Integrated Adirondack Cemetery” in its entirety. 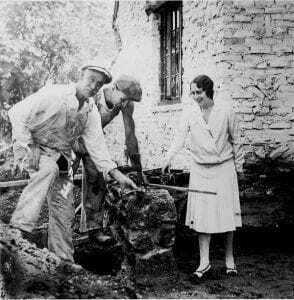 Though Olive Tjaden’s name is not known to most Long Islanders today, a mayor of Garden City in the 1930s reportedly suggested that the community be renamed Tjaden City, because she designed so many houses in the village. 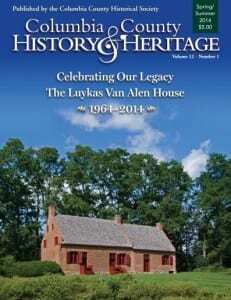 The Columbia County Historical Society in Kinderhook, New York has published the latest issue of Columbia County History & Heritage magazine. 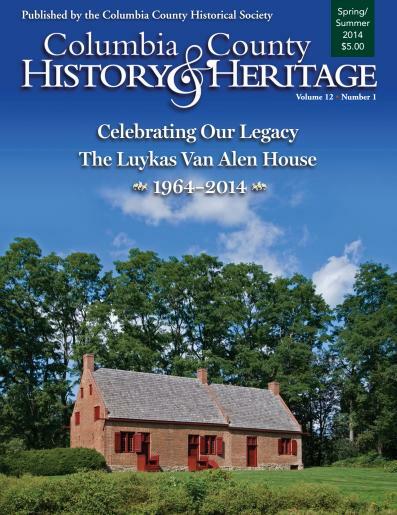 The Spring/Summer 2014 issue is subtitled “Celebrating Our Legacy The Luykas Van Alen House 1964-2014”. 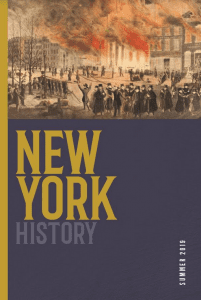 As part of the ongoing commemorations of the bicentennial of the War of 1812, this special issue of the journal New York History focuses on New York State’s key role in that conflict. 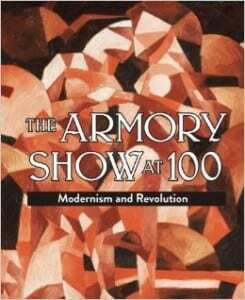 In the early nineteenth century, New York occupied an important strategic position in North America. 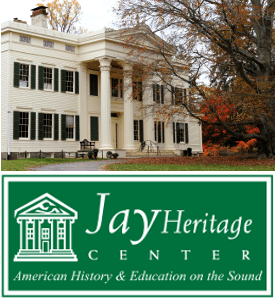 Posts here on The New York History Blog reveal a lot about the creativity and leadership of the individuals who direct the programs that comprise New York’s historical enterprise. 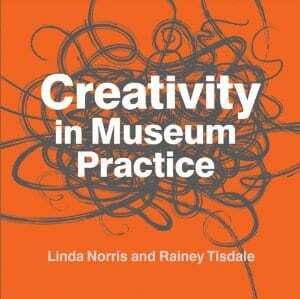 Creativity, broadly defined, refers to derivation of new ideas that help organizations do existing work better or take on new things. Leadership is mostly about strengthening programs and guiding them into the future. 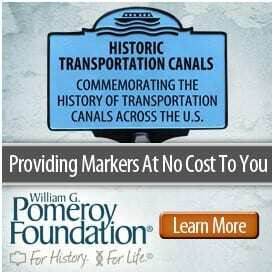 Many of our programs could benefit from that kind of boost. Here is the Table of Contents for the latest issue of the journal New York History. Published continuously since 1919, New York History provides an outlet for scholarly research on every aspect of the Empire State’s history. 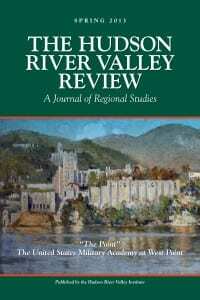 The diverse articles in the latest issue of The Hudson River Valley Review illustrate the pervasive and lasting influence of the Hudson River Valley in shaping America’s destiny. 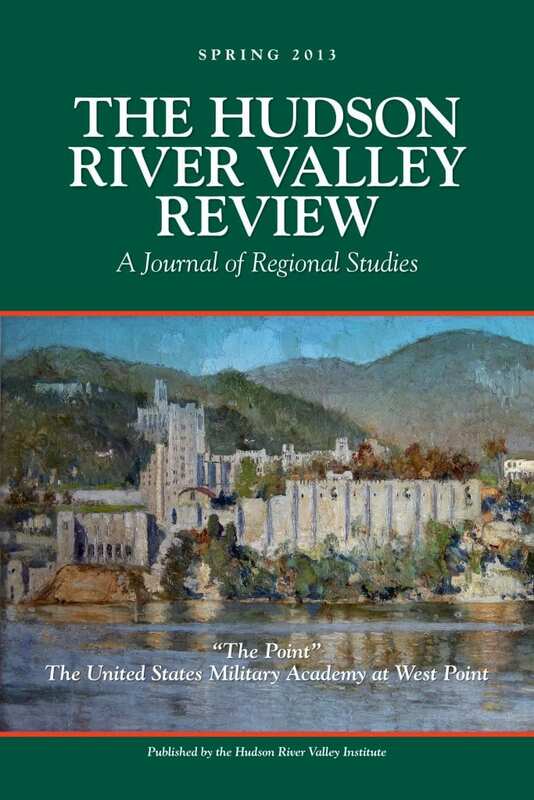 The cover article, “‘The Point'” The United States Military Academy at West Point” is on a pivotal era at the United States Military Academy at West Point, and was adapted from our 2013 Cunneen-Hackett Lecture in Hudson River Valley History.